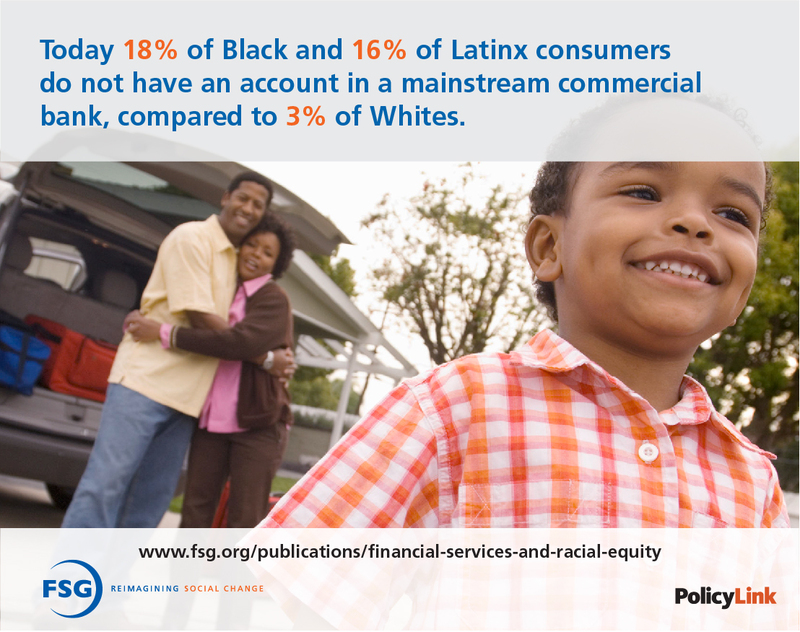 New research from FSG and PolicyLink, funded by the Robert Wood Johnson Foundation, suggests that finance companies must serve the unique needs of markets of color in order to stay competitive in tomorrow’s marketplace. Finance companies that serve markets of color effectively will create a competitive advantage, strengthening their external business environment by supporting public policies and norms that expand financial security. Our research identified four financial services companies that have taken promising steps in this direction— Citi, Oportun, OneUnited Bank, Prudential Financial, and Impact America Fund—which have business growth through their strategies to serve consumers who have historically been excluded.